The apocalypse has come and gone and while most of humanity has been destroyed, there are still some left who are trying to survive... and facing some pretty improbable odds to do so.Taking up immediately after the events of God Eater 2, God Eater 3 is the latest in Bandai Namco’s series and the first of them to have a home console, rather than a handheld, as the lead platform. It goes without saying that this has helped to lift the standard of the game significantly. 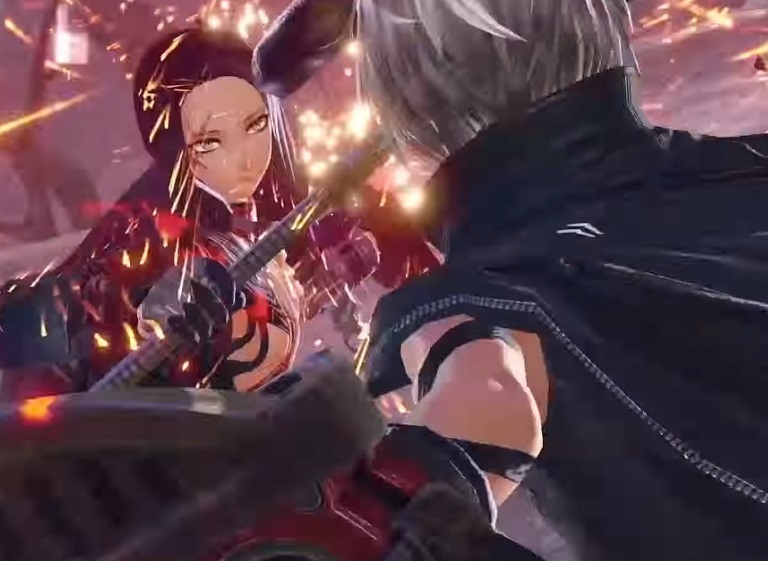 Taking it from the top, God Eater 3 starts off with a cutscene of both your character and another key character in childhood being forced into the painful and often deadly process of becoming an AGE - a monster hunter, basically. This is where the character customisation happens. 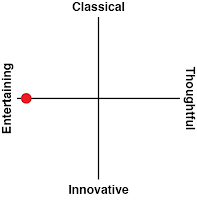 From here you'll settle into the standard routines for a game of this genre. There's a small hub "rest" area where you can talk to several NPCs that are there with you, customise your equipment loadout, craft new equipment or make modifications to existing ones. Once you're happy with everything, you then pick a mission for your hero and head on out into the field. 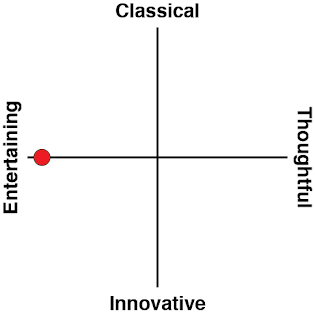 It takes a few hours to learn all the game's various mechanics, but again, they're fairly standard for the genre - and work pretty well. Once you're out of the hub and into the field, your character can run, sprint, jump, dodge and dash across the terrain as you hunt down your does and other materials that you need for upgrades. These base mechanics are well designed, short of one tiny irritation that the button that you use to pick up items is the same as the button for dodging, so if you are moving even a little when you come up to a resource, rather than pick it up, you're going to roll right on over it. It's hardly life-threatening, since you are only going to be looking to pick things up when there aren't threats around, but it is a pain. The bulk of the game, however, will be spent either blocking or dodging enemy attacks and hitting them with everything that you have. There are multiple weapon types available, which can be switched between effortlessly, and will cater to a multitude of play styles, or allow players to adjust to whatever conditions are being thrown at them. Sometimes melee will be the way to go, but in other circumstances, you're really going to want to keep your distance. Using your weapon is easy. You can attack at a normal speed of use a slower, more powerful swing. From there, you can morph it into one of four types of guns, which operate as a standard carbine, shotgun, sniper rifle and laser are your four basic options there. What is interesting with the ranged weapons is that from a standard point there are several different kinds of ammunition that you can switch between; fire, ice, wind, electricity and healing. Furthermore, you can make your own custom bullets for special effects that, unlike your standard ammunition, cannot be restocked in battle. So for example, you can customise a bullet that, once shot, will behave like a shotgun shell that spreads toxin, before extending beyond that range and turning into a spiral that does fire damage. Finally, it'll hit sniper rifle range and start dealing ice damage instead cause ice damage instead. These things cost more, of course, but talk about encouraging creativity. If there's one thing God Eater cannot be accused of, it's in lacking variety. But wait, there's more. Your weapon also eats stuff. See, the God Arc is a living being and as such, it gets hungry. When you use your God Arc to chomp on an enemy, you’ll be performing what is known as a devouring, and you'll go into Burst Mode. In this mode you are more powerful and each of your moves has the ability to trigger even more explosive effects. Normal attacks can have greater range, for example. Dashing and attacking could start to leave spheres or burning lines behind that damage enemies. And so on. Just like with the ammo, you’ll want to play around with the customisation to figure out what really works for you. While all of this might make it sound like you're a walking army and arsenal (and you are), you'll need it, because God Eater's enemies aren't exactly something to get dismissive about. The planet’s latest calamity, the ash storm, is rampaging around, and with it comes new, souped-up Aragami (Ash Aragami) monsters that would be post-game bonus bosses in most other games. These Aragami are stronger, faster, and more brutal... and they too can go into Burst Mode too be devouring allies (or your own character). 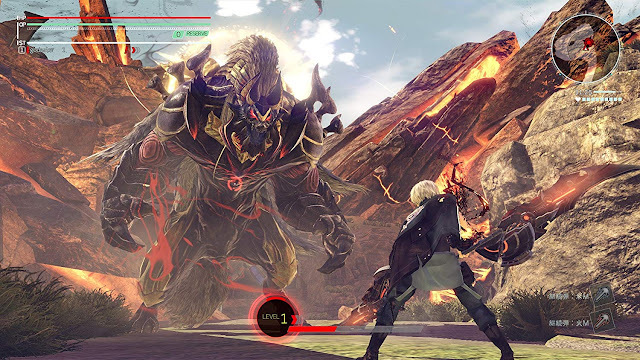 God Eater offers plenty of team-based combat, but if you're currently occupying the Aragami's stomach, not only are you out of the fight, but your ability to link up with the allies is severed; it's layer upon layer of disadvantage. The addition of the Ash Aragami really help to build out God Eater 3, by really testing the skills of players, so while it's one hell of a power fantasy thanks to the weaponry you've got access too, the sensation of it being a struggle is also maintained. In addition to standard missions, God Eater 3 features Expeditions. Unlike normal missions, Expeditions are multi-segmented, which means that there’s no going back to the hub into to rest up and restock. You have to make do with what you have and how much stamina is remaining. There's also an Assault Mode, which is an amazing addition to the game. Slotted in with seven other players online, you have five minutes to give an incredibly powerful Ash Aragami hell. The first time I played this, the team got some rewards for not dying, and I somehow came in first for the rankings. That was a big enough victory. The second time, my team was more practiced, and we aced the Ash Aragami in about two minutes (though I only came in fifth). The "Monster Hunter" genre is usually about long and protracted battles, so bringing an alternative fast-and-furious play mode is an excellent way of breaking the action up. While there are a lot of standard features for its genre, God Eater 3 is far from standard. Where once this was one of the genre's pretenders, sitting quietly on handheld consoles and developing a small, but dedicated audience, it now looks like Bandai Namco has a series that belongs with Toukiden and Monster Hunter at the very front of the stage.